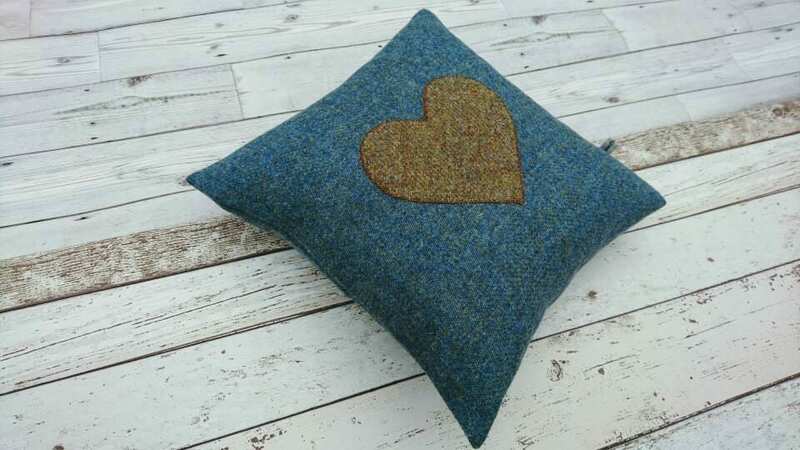 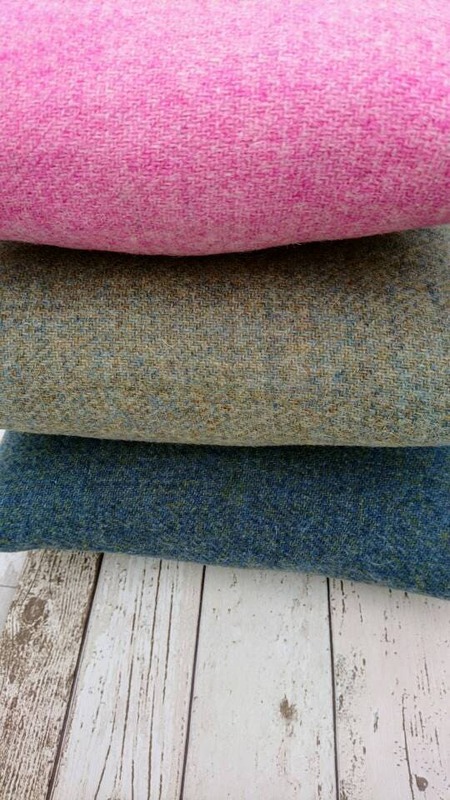 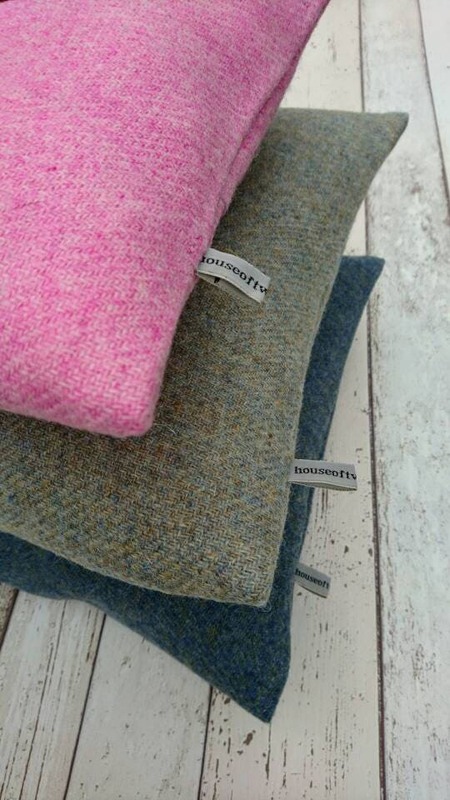 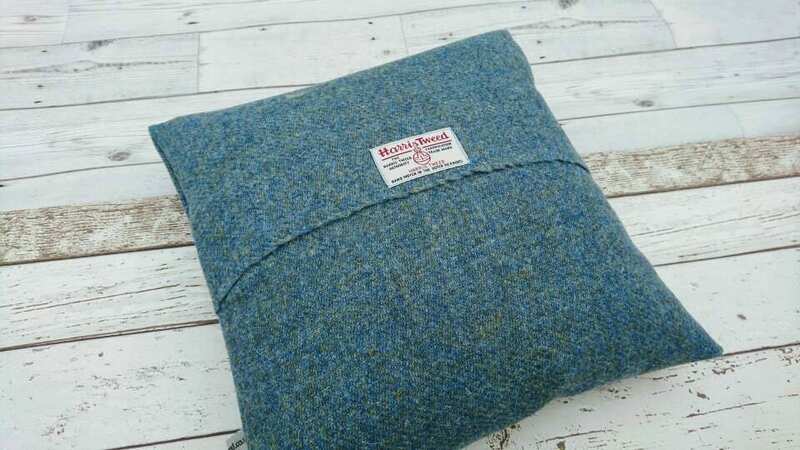 Hand Crafted heart cushion cover made with Harris Tweed. 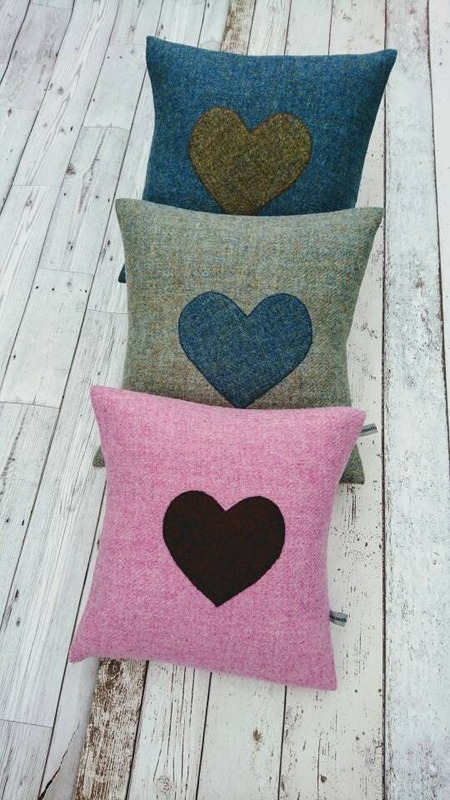 Available in: baby pink with dark burgundy heart, pale greyish blue with blue heart and darker blue with beige heart. 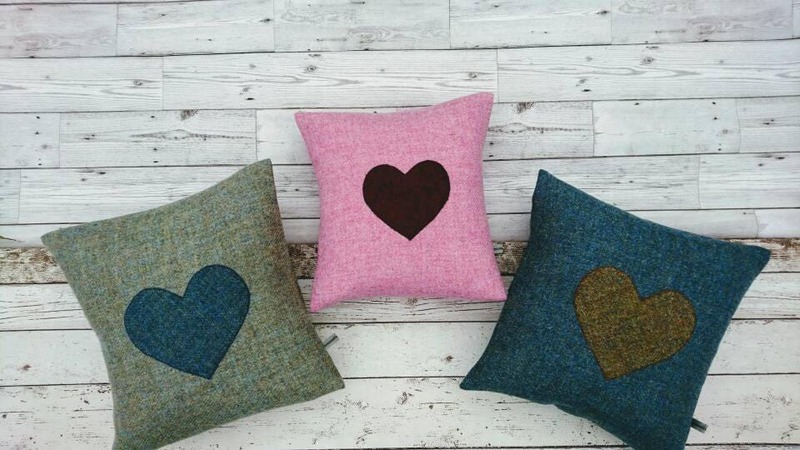 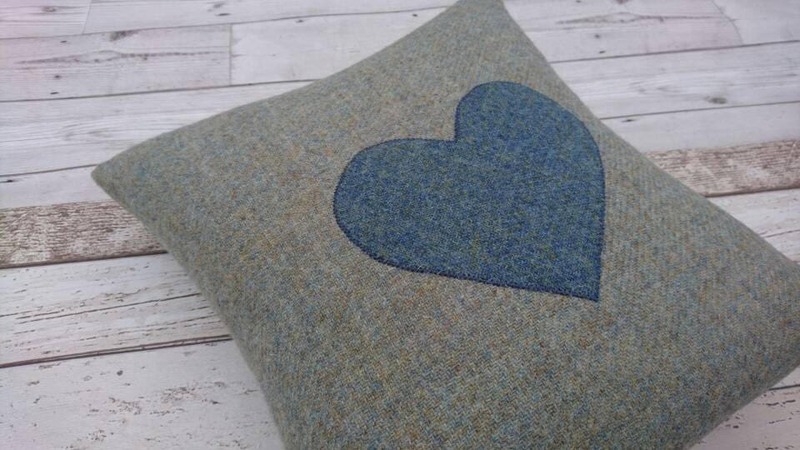 The heart has been hand drawn,cut out of Harris Tweed and embroidered onto the cushion. 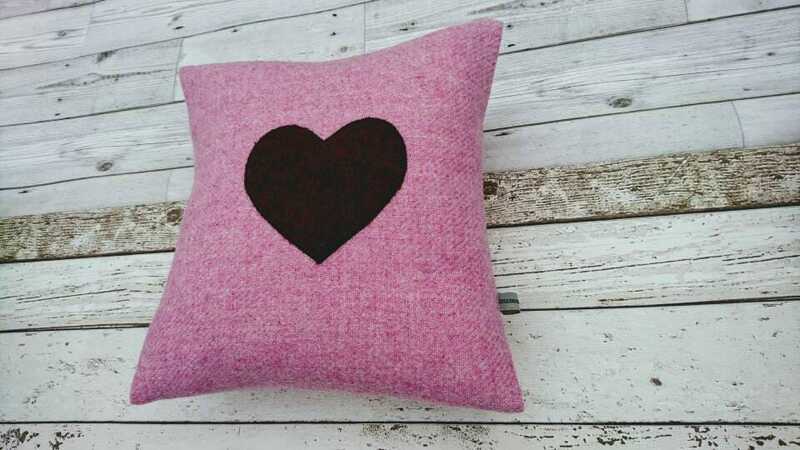 This cushion cover is available in two sizes and would fit 12 by 12 inch(pink cushion cover) or 14 by 14 inch cushion inner (not included).